Today, we’re very honored to have been invited by Heima to talk about their MT Washi Tapes at the Trion Towers, BGC, Taguig City where Real Living Magazine was having their Real Living Space Exhibit–a showcase of the works of 8 interior designers. 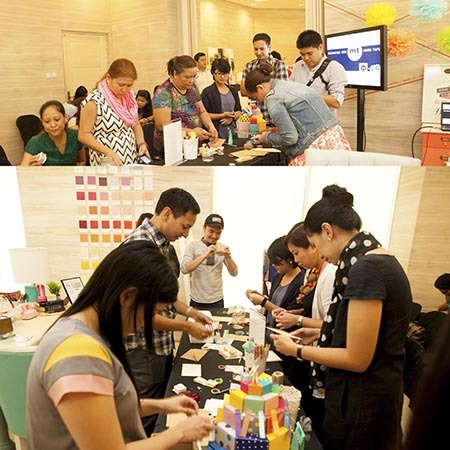 To complete the experience, they came up with free DIY workshops, one is decorating your space & home with washi tape. Well, what is washi tape? 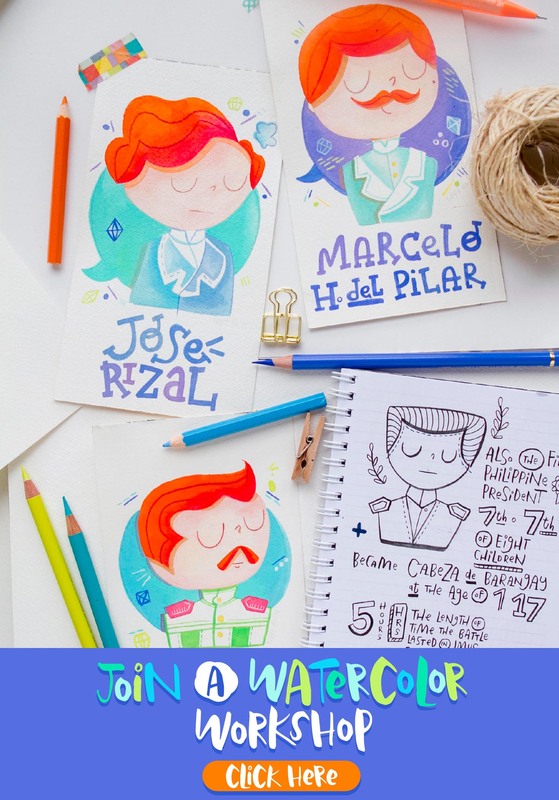 Think of it as the prettier version of masking tapes. 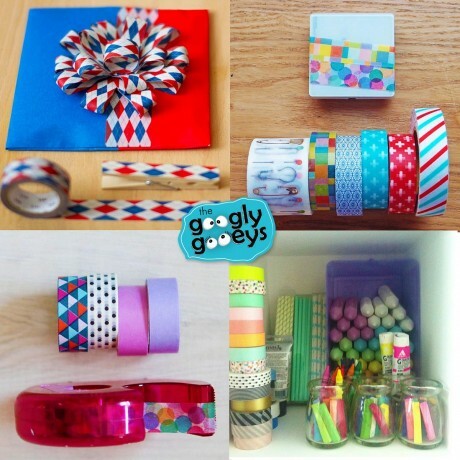 There are so many things you can do with washi tape. 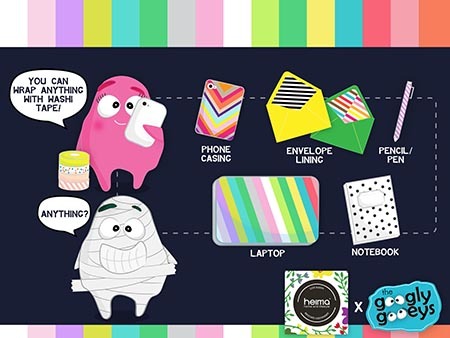 You can use it to wrap practically anything: your phone, laptop, notebook, pens, pencils et cetera. 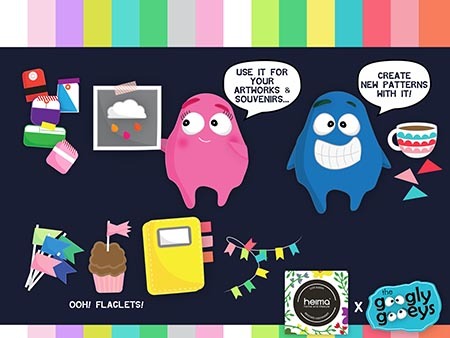 You may also use it to create patterns, buntings & flaglets for your cake or cupcake. Personally, I use it to tape my artworks to the wall. I also use it to mark the favorite pages of my magazines. 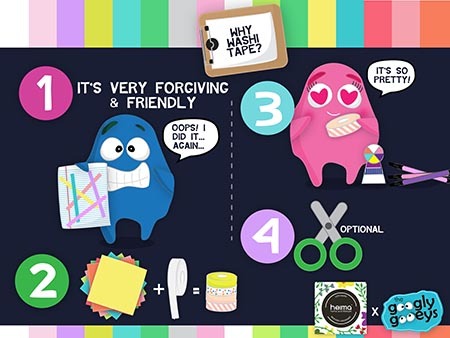 The reason why I love using washi tapes is that they’re very friendly & forgiving. (I have the habit of personifying things, no?) 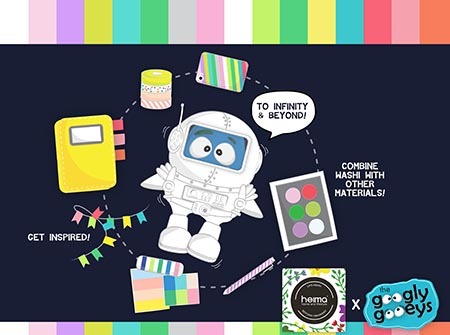 This is so because when you remove washi from any surface, it doesn’t peel of the paint or the paper–no residue gets left. With that, it’s easier to experiment with designs. Unlike with the normal clear tape, you don’t have to feel pressured that you have to commit to a certain design or lay-out right away! You can just follow your whims & edit when necessary. 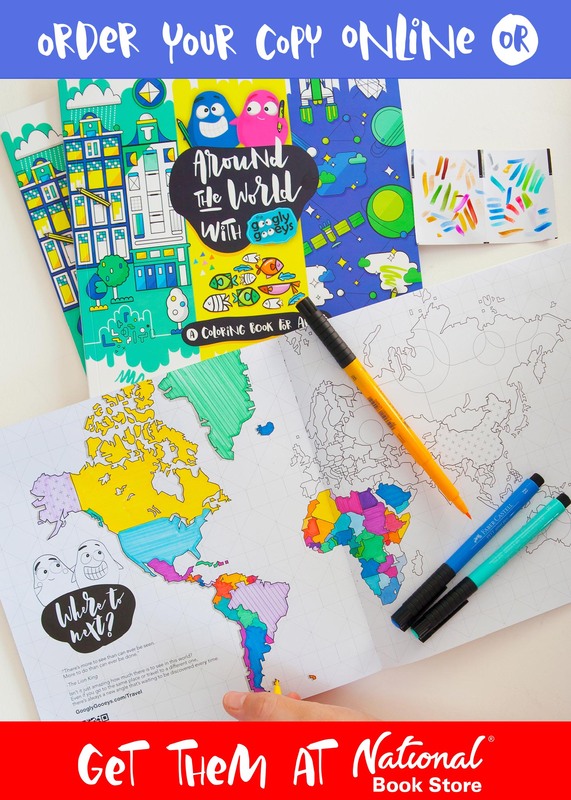 Also, they come in all these make-your-heart-melt (or palpitate) colors & cutesy patterns. You can cut them with your bare hands too. Unless you’re getting obsessive compulsive then you may also opt to use a pair of scissors, a cutter and ruler 😉 Washi tape is easy to combine with other materials and you can also use washi tape as a color palette inspiration and other projects such as what I did with this cake. The digital patterns I used are actually based on my favorite washi colors & designs. I also noticed that a lot of the Googly props I draw for the comics are all washi inspired! Here are a few snaps from the fun & homey forty-five minute workshop today. Thank you to Real Living for the very warm welcome as well as Heima for tapping us for this DIY experience. Everyone was too busy washifying their cellphones, postcards, notebooks & envelopes to even notice what was going on around them. Haha.